Many people old and young have problems keeping track of and remembering to take their medications. 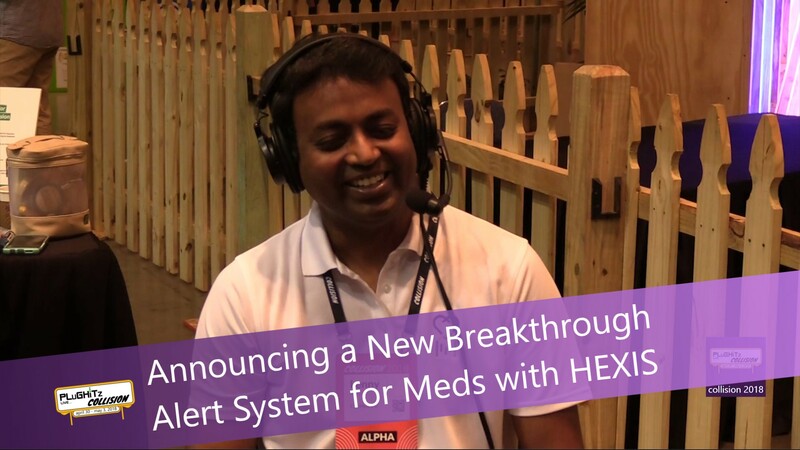 Lenny George and another co-founder have developed a wonderful adherence device, which they call HEXIS from CueMed. This device is a voice-enabled connected pill organizer designed to contain your meds. It can hold up to 7 days worth of pills, as many as 14 pills a day and can separate them into 4 groups per day. It comes in a smart-looking little tower that contains 7 containers for your medications. It is a very discreet way to have your meds handy without advertising that you are carrying them. HEXIS recognizes only your voice and will only respond to you, keeping your medication schedule private. Lenny states that there are as much as 65% of prescription users that do not finish their meds. This can have very serious side effects, resulting in hospitalizations, and increased or recurring illnesses. He also tells of his co-founder having trouble with her thyroid meds. It seems that "life problems" get in the way as they do for so many people. HEXIS keeps you on track by educating you that there are serious consequences to not taking them on time or at all. This device can also be work with other health devices such as Fitbit, glucose meters or blood pressure monitors or electronic scales that track your sleep, heart rate, blood pressure, and glucose levels. Proper monitoring is so very important to your health and HEXIS is a way to make it easy. This isn't just a pill organizer but it actually has an analytic approach to help you form and keep good health habits to ensure your improving health. They have gone through several prototypes to come up with the correct hardware solution that serves as your personal health coach.